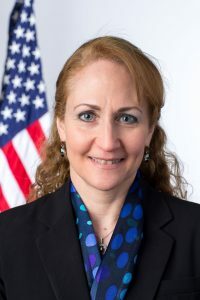 The Wisconsin Institute for Discovery (WID) will usher in a new year with a new director: Jo Handelsman, a Yale University Professor and the Associate Director for Science in the White House Office of Science and Technology Policy. Handelsman begins her position on Feb. 1 and she will report to the Vice Chancellor. In addition to being named WID Director, Handelsman will be honored with a distinguished named chair. Read the full press release about Handelsman and her appointment. Download Jo Handelsman’s curriculum vitae (PDF). View Handelsman’s public presentation outlining her vision for WID called “WID As a Catalyst for Discovery: Inspirations from Wisconsin, the White House, and Beyond”.